Do you take your RV out in the winter? …this is prime time. If you live in the growing south, you’re used to keeping out of the blazing heat during the summer and enjoying mild temps and outdoor activities in the winter. It’s a lifestyle that northerners just can’t quite understand. Yet it’s funny. Most articles about RV’ing begin in the spring and end in the fall. However, southern, ice-free roads are a perfect place to spend that time off with the kids, if your RV is up to the challenge. 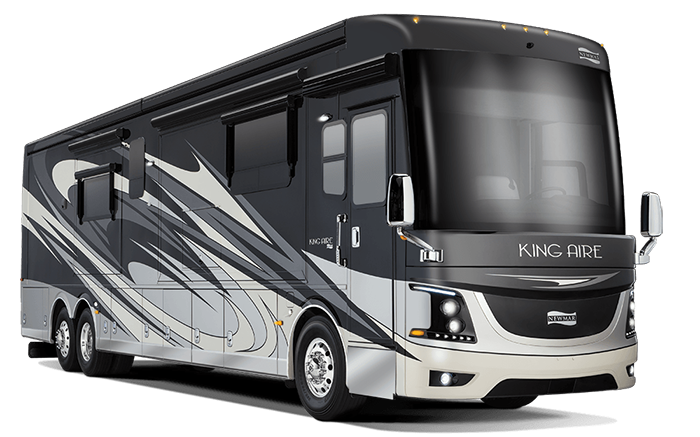 While our northern friends enjoy time at home by the fire, let me talk to you southerners about modernizing your RV. The RV you bought back in 2005 is still in good shape, but that tube TV isn’t. It seemed like the height of luxury to build a TV into your RV back then but today it looks dopey at best. At worst it’s just a sad, faded mess of technology. Just take it out. While you’re there take out the VCR you know is still there. With that old tube TV finally gone from the picture, it’s time to think about how your family actually entertains themselves back there. Do they all sit and watch the same show, or the same recorded video? Probably not. Most likely they watch their own things while you’re driving. Should you put in a satellite TV solution, an antenna, or any sort of TV at all? This is going to be a tough question. Of course today TVs are small, thin and light and that means you can put a bigger one in if you want. If it’s just you and a spouse or special friend, sitting in the back canoodling while you enjoy some entertainment might be just the right choice. If you have satellite TV at home you might think about putting in a satellite TV system on your RV. These are expensive, but not really terribly expensive, and you’ll get exactly the same experience you get at home, minus a few local channels. There are great options for satellite TV in RVs now and there’s never been a better time to jump in. For casual TV watchers a small antenna on a tripod can feed that craving. You put it up every night when you park and bingo, live local TV. Should you put in a cellular data-based solution? More and more people are looking at a streaming solution instead of satellite or antenna for their RVs. Watching Netflix, Hulu, or other national programming is easy. You can get a live TV service like DIRECTV NOW or Sling and have something very home-TV-like as well. Personally I like the AirTV antenna streamer which can give you live and recorded TV from your home, no matter where you are, with no fees. It’s a perfect solution for a tighter budget and it means you’ll never miss the top programs even if you’re somewhere without great reception. Beware though… you’ll need better cell reception and a great data plan. If you plan to go all-streaming, you’re going to want great cell reception. That’s where you’ll want to consider this weBoost RV65 cellular booster. This is a reallu unique product that delivers the kind of cell boost that you usually get at home. Every other RV cell booster limits the power to 50dB. That’s the legal limit for cell boosters in motion. You may not need better cell service while driving, but if you want to stream, you’ll want it when you’re parked. This booster gives you 65dB of super power by letting you use it only when you’re parked. The directional outdoor antenna goes up as soon as you park and gives you the kind of cell service you need to stream. Of course great signal is just a part of it. You’ll also want an unlimited data plan to avoid overages. Luckily AT&T has the best ones and the folks at Solid Signal can get you all set up at the same time you place your order. The easiest way to do it is to call our offices at 877.312.4547 during business hours.